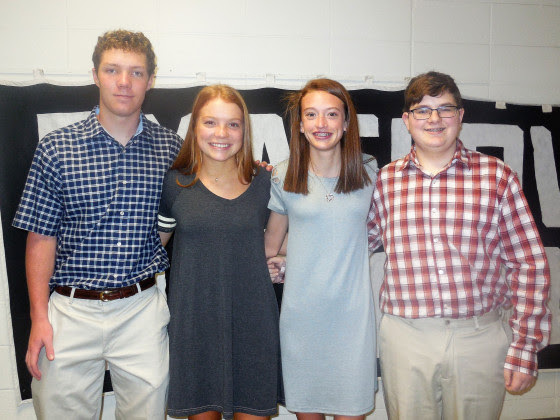 Smackover High School has announced the American Legion Girls and Boys State delegates for the year. These Juniors were selected by the faculty based on leadership, character and honesty, academic merit, cooperativeness and community service. Delegates are (left to right) Robert Dixon, Mary-Claire Wilcox, Jordan Price and Ty McCurry. The week-long session is set for May 27-June 1.